Check out this pattern from Theo! 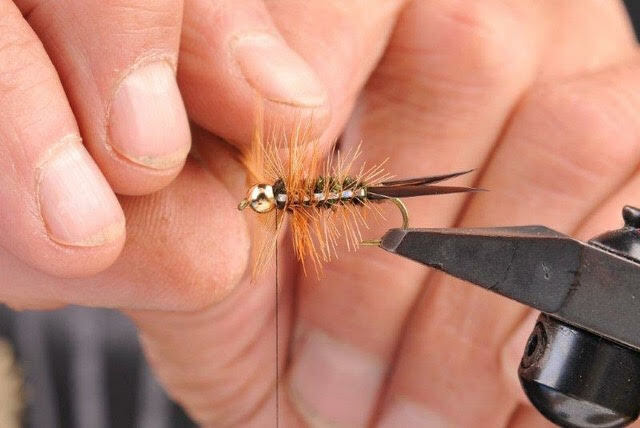 Note that during the tying, Theo uses dubbing first to help separate the biots, a great technique that you can apply to many flies. He also trims the hackle, which creates a desired taper. The bead on the "Terminator" will allow it to fish deep, and don't hesitate to add additional weight to this one. Thanks for sharing another superb tie, Theo...aka "Mystery Man!"